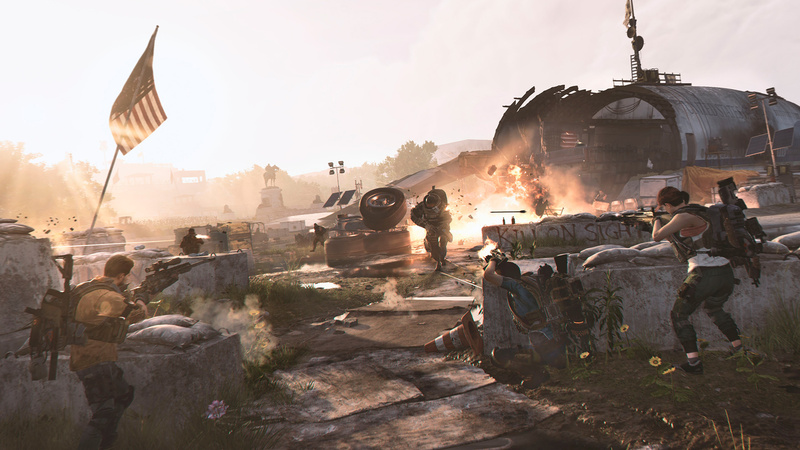 Unsurprisingly, Ubisoft's shared world shooter The Division 2 has stormed to number one for its debut in the UK physical chart. This echoes the early success of the game's predecessor, although according to GamesIndustry, the sequel sold only a fifth of what the original game managed in its first week. This is speaking purely of boxed copies, of course -- digital sales could be a whole other story. Devil May Cry 5 got off to a great start last week, but slips down to sixth place this time around. Far Cry: New Dawn also moves down into number eight, while top 10 mainstays like Red Dead Redemption 2, GTA V, and FIFA 19 remain strong in second, third, and fourth respectively. It will be interesting to see where Sekiro: Shadows Die Twice, the latest From Software title, will debut after it launches this Friday. Where are those digital charts at that were "soon" almost two months ago? so about 60k sales or so (still, 50% more than anthem). i think if you expect the 'missing' 240k to have been bought digitally, you're dreaming. the size of PS4/XB1 uk install base has doubled too since the division came out, so it's not an especially strong start. even though i didn't buy it, i thought it would have done much better than this to be honest. makes you wonder just how much of the original game's audience didn't return for a second bite. Yeah digital isn’t making up for that kind of decline. UK industry is in a weird spot at the moment. A) it's an online only game, and. B) the price was about £5 difference to wait for the postman as opposed to predownload. @GADG3Tx87 I share the same preference for physical. I rarely sell my games and keep them just in case I wish to replay in the future (which never happens). However, these types of games will just be a paperweight - and a rubbish one at that once the servers close. Makes digital much more appealing. it's £42 (for silver members at least) on shopto - that's £18 cheaper than the digital version, not exactly a bit of loose pocket change for most people. whether digital is more appealing or more convenient, it isn't going to incentivise demand (not in the uk at least) more than the economic factors of saving a not inconsiderable amount of money. certainly not to point where the ratio is at least 4:1 in favour of it which it would need to be to explain the week 1 disc sales decline. i think the uk games market is just in a bit of a weird place.. whether it can support all these GaaS type titles is debateable, and we're seeing more of them trying to gain a share of a limited resource. It is worth mentioning that the original Division released on a Tuesday, whereas the sequel on a Friday. Will account for some of the drop off in sales.